For all that sculpture has a regrettable tendency to suffer the misfortune of being treated as a poor relation of painting, there are pockets of resistance to this unhelpful state of affairs. In recent years, the Frick Collection has fought heroically on behalf of sculpture through a sequence of exhibitions devoted to the subject of Renaissance and baroque bronzes. 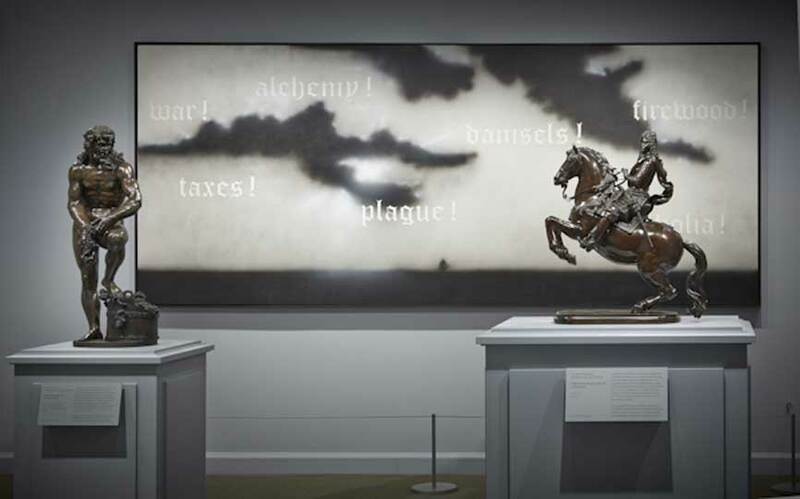 In addition to major monographic shows on Tetrode (2003), Riccio (2008–9), and Antico (2012), it has also hosted displays of outstanding bronzes from the Fitzwilliam Museum, Cambridge (2005), and the Quentin Collection (2004–5). The latest manifestation of this illustrious tradition is its current offering of ‘Renaissance and Baroque Bronzes from the Hill Collection’. Tom and Janine Hill started to collect in the early 1990s, and decided at the outset to concentrate on two main areas – on the one hand on Renaissance and baroque bronzes, and on the other on eight post-war painters. In consequence, a visit to their New York apartment – in which the two strands are dramatically but at the same time brilliantly juxtaposed – is a very singular experience, which is in part replicated at the Frick by virtue of the inclusion of a few paintings by the likes of Cy Twombly and Ed Ruscha. The Hills’ collection of bronzes is not vast – the outstandingly lavish and learned exhibition catalogue by Patricia Wengraf and others may run to 375 pages, but contains a mere 32 entries – yet it is both extremely choice and highly focused. 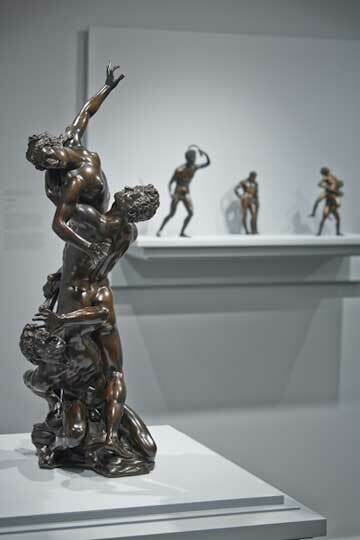 One of its two principal strengths is in the works of Giambologna and his principal associates. These include sculptors of his immediate circle such as Antonio and Gianfrancesco Susini, but also the great triumvirate of roughly contemporary Northerners – Tetrode, Adriaen de Vries, and Hubert Gerhard – who likewise learned so much from their time in Italy. The other is in the works of the later Florentine sculptor Giuseppe Piamontini, who is represented by no fewer than four outstanding pieces. In addition to these remarkable groupings, there are extremely fine French bronzes by Barthélemy Prieur and others, as well as a stunning singleton by Andrea Riccio. The overall effect of the display is considerably enhanced by the fact that the bronzes are seen in the round and are not displayed in vitrines, which means that visitors are able to do everything except pick them up and turn them in their hands. The result is an unforgettably direct experience of an absolutely outstanding collection. 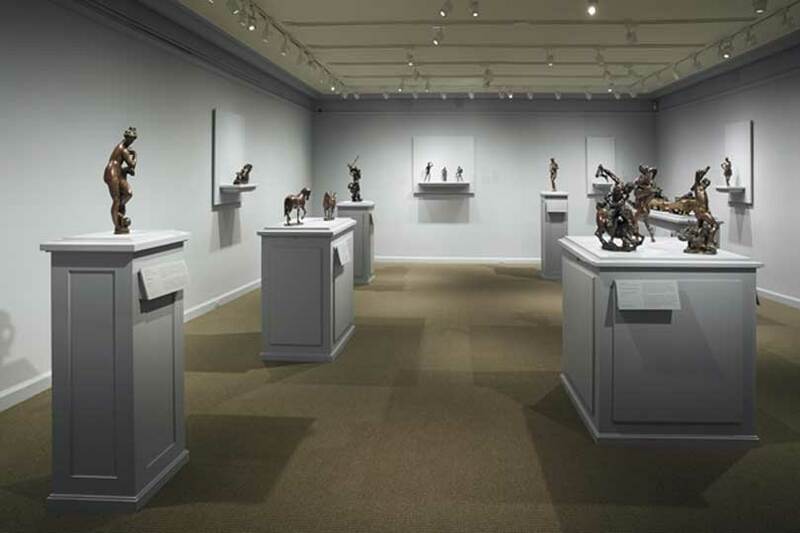 ‘Renaissance and Baroque Bronzes from the Hill Collection’ is at the Frick Collection, New York, until 15 June.